This article was written with the intention of helping users set up their correlations for personality quizzes. With a personality quiz, there is no correct answer, it’s like that philosophy class you took in college while you were in the “finding yourself” phase. 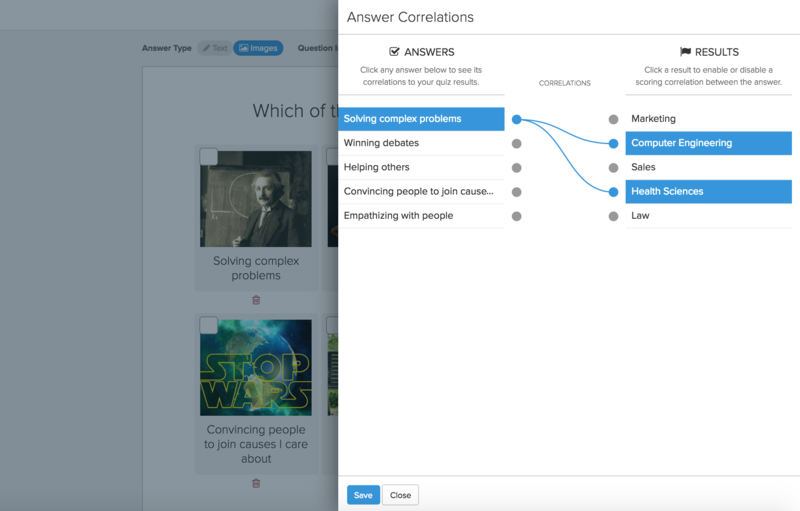 Instead of correct answers, there are correlations between the quiz questions and the quiz results. This might sound super confusing (the word correlation never really makes any sense). However, I’ve attempted to simplify how it all works and hopefully it makes sense to you. Personality quizzes work backwards. You start with the quiz results (the personality types) and then you create the quiz questions afterwards. 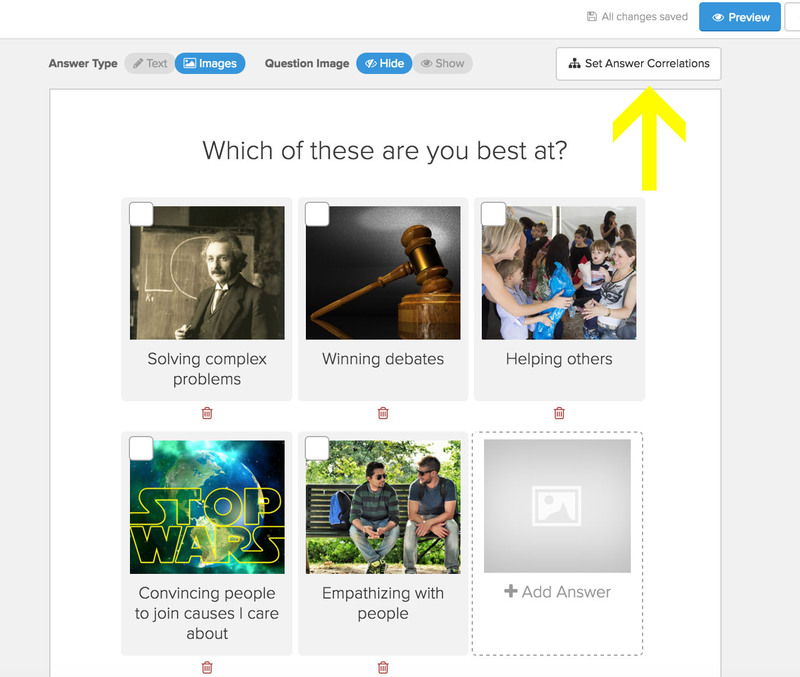 Once you create the quiz questions, you can connect them to the results you set up in the previous step. In words, each quiz question will have several answers, and each answer will correlate to its own result. At the end of the quiz, the result that got the most overall correlations will get shown as the quiz takers’ personality type. 1. What if two results tie? The first one you created is shown. Let’s say for example you set up three results, red, yellow, and green. You have questions that correlate to those results. At the end of the quiz, all three results have two points, so there’s a tie. At this point the result shown will be red, because that’s the first one you set up. To avoid this happening, make sure that your questions are really well connected to your results intuitively and that will prevent most ties. 2. Can I correlate one answer to more than one result? Yes, you can connect one answer choice to more than one result. 3. How many questions should I have to make an accurate quiz? 7 Questions is the perfect amount. This will take your quiz takers about 2 minutes to complete, which is the perfect amount to get them very into your quiz but not so long that they'll get bored and leave.